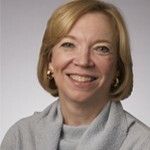 Christine Scott Nelson was a founder and Managing Director of Cornerstone Research until her retirement in 2012. She continues to serve on its Board of Directors. Cornerstone is a 750-person consulting firm that provides expert testimony and economic and financial analysis to attorneys in all phases of commercial litigation and regulatory proceedings. Mrs. Nelson was Chair of the Board of Trustees of Allegheny College when Allegheny became an early signatory of the American College & University Presidents’ Climate Commitment. She continues to serve as a Trustee of Allegheny and co-chairs the college’s current capital campaign. She also serves as Chair of the board of the Unitarian Universalist Urban Ministry and is Vice Chair of the board of Laspau, a Harvard affiliate. Mrs. Nelson received a BA from Allegheny College, an MA from Boston University, and an SM from MIT’s Sloan School of Management. Mrs. Nelson and her husband, an angel investor in clean energy start-ups, reside in Cambridge, Massachusetts, and are the parents of two adult sons.